The right to fair trial goes way back. It has developed over thousands of years. In 1215, Magna Carta was a key first step in giving all free men the right to fair trial by jury. Then, after the horrors of World War II, the Universal Declaration of Human Rights recognised the fundamental rights of human beings, including the right to fair trial. 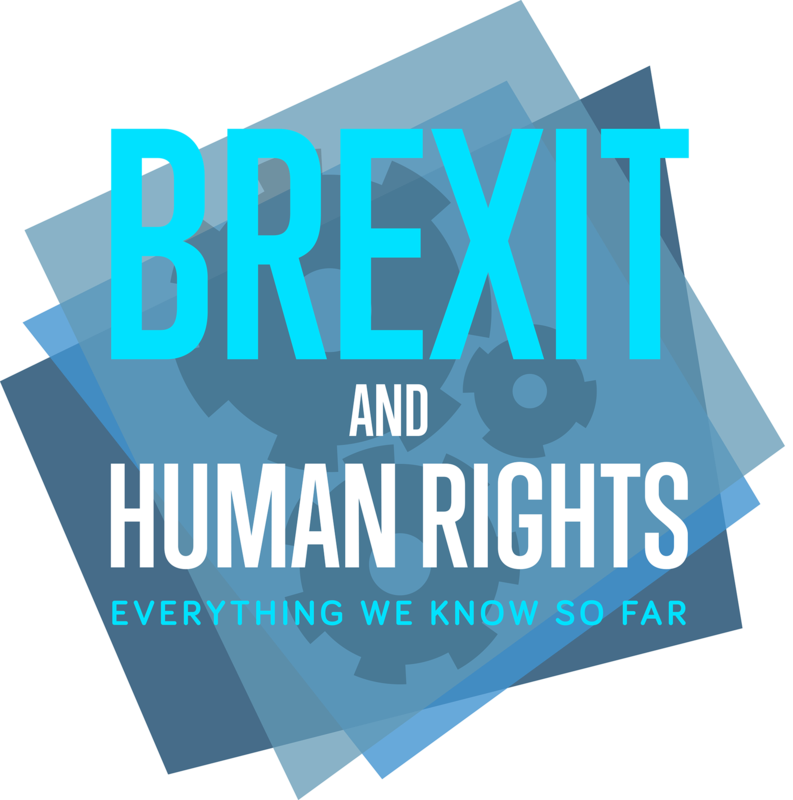 And in the UK, since 1953, we have had Article 6 of the European Convention on Human Rights, which was brought into UK law in 2000 by the Human Rights Act. 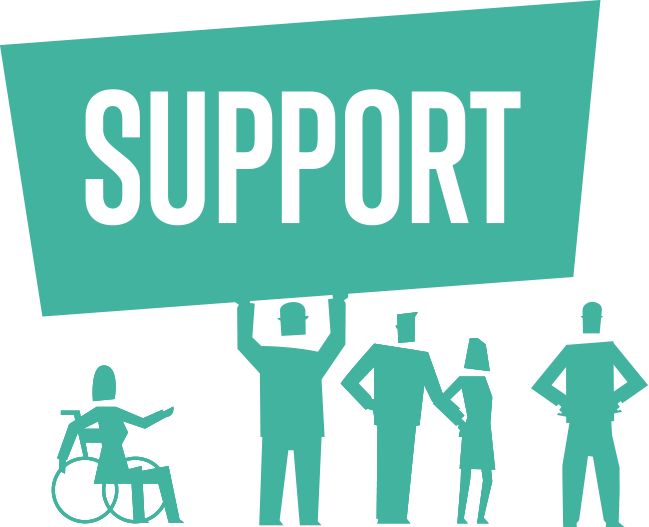 The right to fair trial entitles you to be heard in public by an unbiased – that is, independent and impartial – judge in a reasonable amount of time. This means that you should not wait years for a fair trial – at least in theory. In practice, as you can see in our infographic, England and Wales are in the top five of countries with longest waits for civil cases to be heard in first instance courts. So it’s hardly surprising that the majority of Article 6 violations for which England and Wales were condemned by the European Court of Human Rights between 1959 and 2014 were about proceedings that went on too long. The right to fair trial also means that if you are accused of a crime you are innocent until proved guilty. And, you are entitled to legal defence: everyone has a right to get in touch with and get to actually meet a lawyer. This stands even if you cannot afford to pay your legal fees. If that’s the case, the state, at least sometimes, will have to step in. 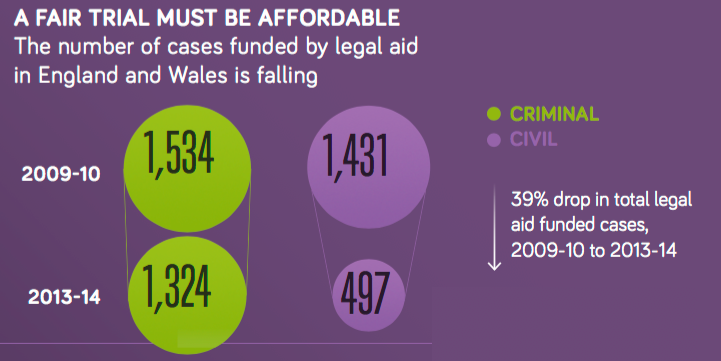 Having said that, in the UK the number of cases funded by legal aid is falling and has indeed decreased by more than a third between 2009 and 2014. The right to fair trial is an essential safeguard of a just society and its importance cannot be overstated. It is an essential guarantee of the rule of law.